Reclaimed Wood Dining Table with Shelf. This table design can be made expandable. Add $349 to the above prices to make this style table expandable. If ordered as expandable, it would come with two 12" leaves. You can use one leaf or both. 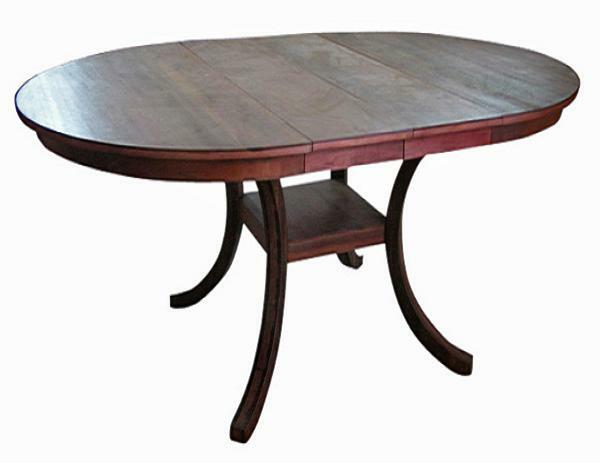 For example: a 54" table with both leaves would expand to 78". $1495 - 54" x 54" x 30.5"
$1595 - 60" x 60" x 30.5"
$1695 - 64" x 64" x 30.5"